Must have been the most awaited review by many. A lot of people emailed and inboxed me about this all curious on if it really lasted for 16 hours. Well, let me break the "ugly truth". It lasted for more than 16 hours! I am not even kidding. It really did last for more than 16 hours and the consistency of the lipstick did not change at all throughout the day. I am not that girl who liked to touch up my makeup every time I visit the ladies. Once I do my makeup before I leave the house it is considered as done for good until I come back home. No matter how oily or nasty my makeup gets, I really won't give much attention to it. 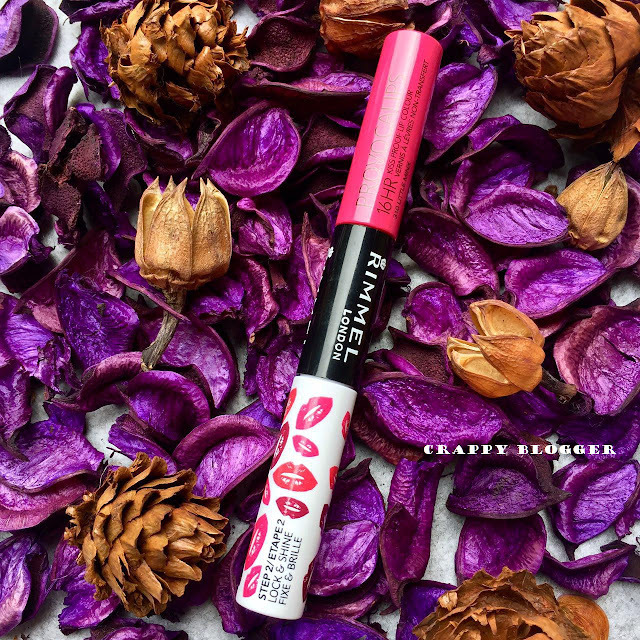 For people like me, Rimmel Provocalips 16 Hour Kiss Proof is a life savior. So what I have bought is Little Minx which means an impudent, cunning, or boldly flirtatious girl or young woman. (Hehehe). 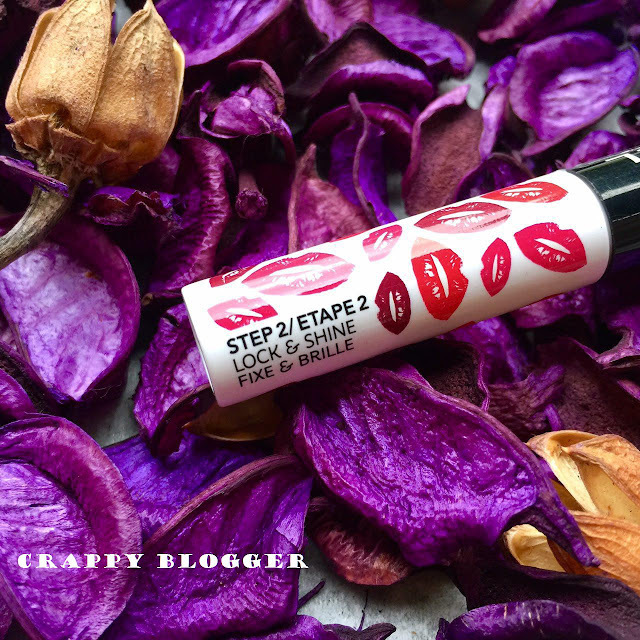 I have tried a number of Kissproof lipstick before and none actually worked as magically as Rimmel Provocalips did as they will easily fade off whenever I eat oily food. I deliberately ate oily just to test the resistance of the so proclaimed 16 hours long lasting and yes the oily food that I tried did not affect my lipstick at all. It is kiss proof as the first thing I tried right after applying the lipstick is to kiss at the back of my palm. Boom! No, even a little stain at sight! I wanted to take a picture but it can be seen even better in a video. 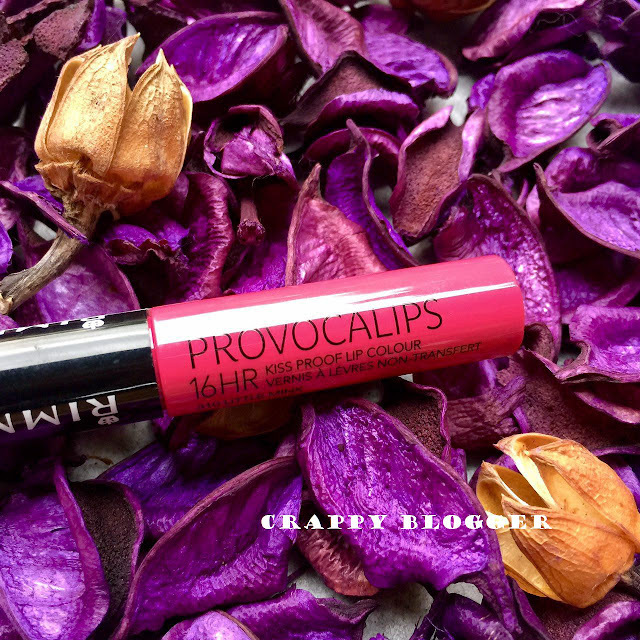 The best part with Provocalips is you can get both matte and also glossy look.If you can see the image above, it has double-ended doe foot applicators. 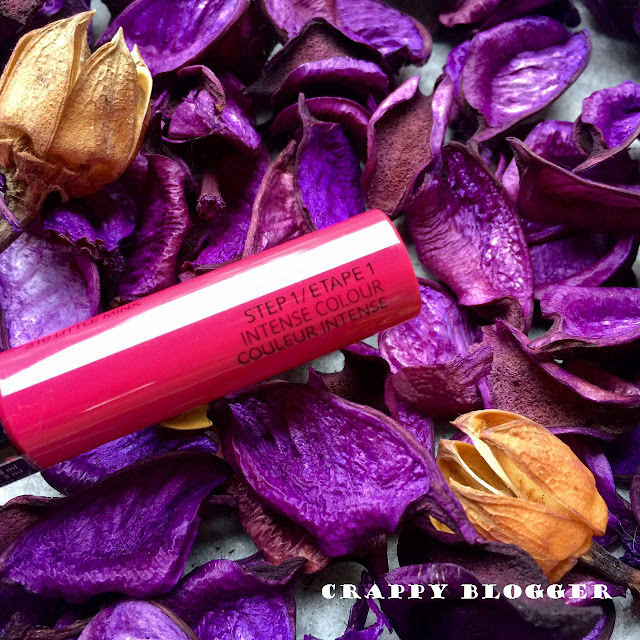 One end has a liquid lipstick which screams out loud the Little Minx colour, while the other end has a moisturizing, non-sticky gloss which is in white colour. You can choose to wear it up to your preference. I personally have my days where I want it to be matte and I have my days where I want it to be glossy. So Provocalips saves a lot of money by being both. I have talked a lot on the pros so now let's go to its cons. As I told earlier that it can really last for more than 16 hours so it means it is not easy to remove it. Yes, the struggle is real when you want to remove those sweet hearts out. It did not work when I used my make up remover but it worked well when I used Mary Kay's make up remover. So if you have Mary Kay make up then it makes your life so much easier. If you don't then you can do what I usually do. I will apply olive oil and massage the entire area using a wet wipe. It takes at least a good 5 minutes guys. No kidding kay. Another con will be patchiness. It happens when you are out the whole day and you are dehydrated. So stay hydrated ladies. It is a great reminder to me too now. Some asked where I purchased it. This time I tried a whole new way of shopping. I contacted the SpareLuggage to get Rimmel Provocalips for me from London knowing that they are accepting the request for London products. 1. Post your request with the price that you are willing to pay. 2. Traveller accepts and we have to deposit the money to SpareLuggage. 3. Item delivered and full refund if the request is not fulfilled. 4. Confirm delivery and money released to travellers. I saved a lot of money in shipping and my product came to me all safe and sound with 3 weeks time. Want to get more information on how this works? 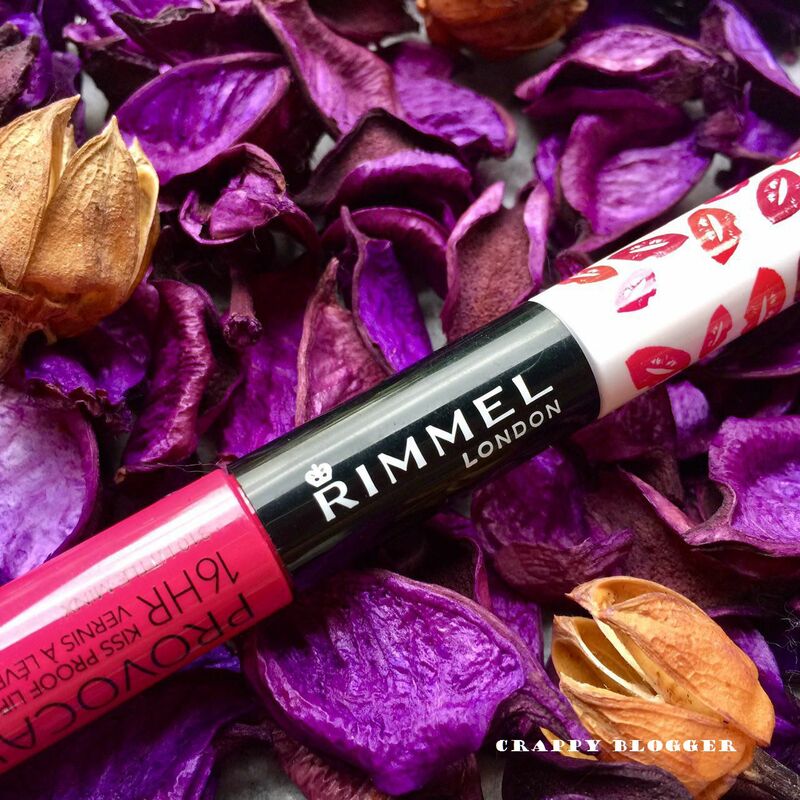 Have you tried Rimmel lipstick or SpareLuggage before? State your comments below. This is interesting. You can request they purchase for you from other country for reasonable price. Last for 16 hours really good idea, I hate to keep touch up my lipstick for wholeday long. Cause my lips kinda pale , look like i m sick without the lipstick. So long lasting lipstick always be my first choice. The design also look cute. Wow, 16hrs kiss proof, now that is very alluring! but since its hard to be removed i think im gonna pass..
More than 16-hours? That's amazing, and no need to touch-up. You should have post your FOTD.